Wharton Finance for Executives fills this need, providing participants with highly relevant, actionable, and practical tools to understand the financial implications of their decisions, create sustained value for their company, and communicate the rationale for their decisions to finance colleagues. Participants leave the five-day program with a solid understanding of corporate finance and its role as a critical business skill set. Wharton Finance for Executives removes the shroud of mystery from finance, says Academic Director Michael R. Roberts. Putting corporate finance at the heart of decision making is mission critical today, and not just in the C-suite. Senior-level executives in every industry face pressure to show the financial return and value of their initiatives, including the upside opportunity in and downside risk of every decision. Having a strong foundation in finance and an ability to speak that language is a must in today’s globally competitive market, because errors quickly become magnified and have greater implications for a company’s future. 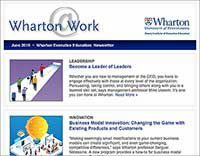 Wharton Finance for Executives leverages what Wharton is world-renowned for: finance that strikes the right balance between academic rigor and practical application. Wharton faculty — led by finance professor and corporate finance expert Michael Roberts — apply their field-based research and professional experience to teach the latest strategic insights for making more informed and better decisions, and to provide participants with an improved ability to communicate those decisions to financial executives. Faculty put the course curriculum in a context that is real, immediately applicable, and understandable. You will gain a thorough understanding of financial principles and the ability to apply them in practice. From practical tools to case application, you will apply financial tools and frameworks to real-world cases. You will leave the program with a new financial acumen that can inform every strategic decision you make and project you champion within your organization. Ultimately, the program removes the shroud of mystery that people often have about corporate finance and empowers participants to use this understanding to improve their business, show their value to the organization, and further their professional development. Wharton Finance for Executives is designed for a broad range of non-financial leaders whose primary job responsibilities do not include corporate finance, as well as functional finance leaders. It appeals to professionals in every area — general management, operations, marketing, law, and operations as well as management consulting. The ideal participants in this program will already have a basic knowledge and understanding of corporate finance, but are finding that more of their job responsibilities intersect with corporate financial decision makers. These are executives who are rising within an organization and are now finding that having a deeper understanding of the role corporate finance can play in the growth of the company will be invaluable. Additionally, mid-level to senior executives with a finance background who have not worked in finance recently or those who want to deepen their understanding of corporate finance as it pertains to strategic decision making will also benefit from attending this program. If you have little to no background in corporate finance, we suggest taking Finance and Accounting for the Non-Financial Manager first to lay the foundation. While it is not a prerequisite to take Finance and Accounting for the Non-Financial Manager, it is ideal for participants in Wharton Finance for Executives to be already familiar with how to use and interpret financial statements. This program attracts a diverse group of leaders from multiple industries, backgrounds, and geographies who share their biggest challenges with the class. Faculty tailor the program content to address these issues, so participants enjoy a learning experience that truly resonates with them and meets their learning needs. Participants leave the program with an expanded peer network, plus specific finance tools and frameworks they can use to make a meaningful strategic impact within their companies or organizations. I work at NextEra Energy Resources, an industry leader in wind and solar in the United States. As an asset manager, I deal with wind portfolio — roughly 25 wind farms. I work closely with origination and development teams that help with our growth trajectory, and I’m responsible for the financial performance of the wind farms once they are operational. I interface with customers and the markets who buy the power and most of my assets are financed, so I am dealing with various lenders and creditors, which was one reason the Wharton Finance for Executives program was such a strong fit for me. 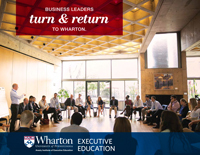 I chose Wharton after looking at the curriculum and talking to peers who had attended Wharton programs in the past. The curriculum fit my needs better than programs offered by other business schools. Wharton covered real options and how to value different business decisions, which has helped me enhance my competency and confidence as I face challenges, whether they are operational or technical. Wharton gave me the tools to better maneuver through the decision-making process. I am also able to bring more strategic perspectives on how to weigh the benefits of certain decisions for my portfolio. Professor Michael Roberts did such a fantastic job translating the material into real-world examples. He provided the kind of synthesis to help turn the program learnings into tangible, real-life tools that I could use when I returned to my job. I was also impressed by the diversity of program participants. They brought such broad and global perspectives that far surpassed my initial expectations. Participants came from a broad range of industries both domestic and international and it was hugely beneficial to me to learn about their experiences and the challenges my classmates have faced. Wharton also did a great job with the overall logistics. The ease of how this program was set up made it seamless for me and others as far as the meals, housing, and the class’s location. Wharton staff took a lot of the stress out of the logistical concerns so I could really focus on absorbing the course content. I was first drawn to Wharton by virtue of its excellent reputation. My experience exceeded expectations. 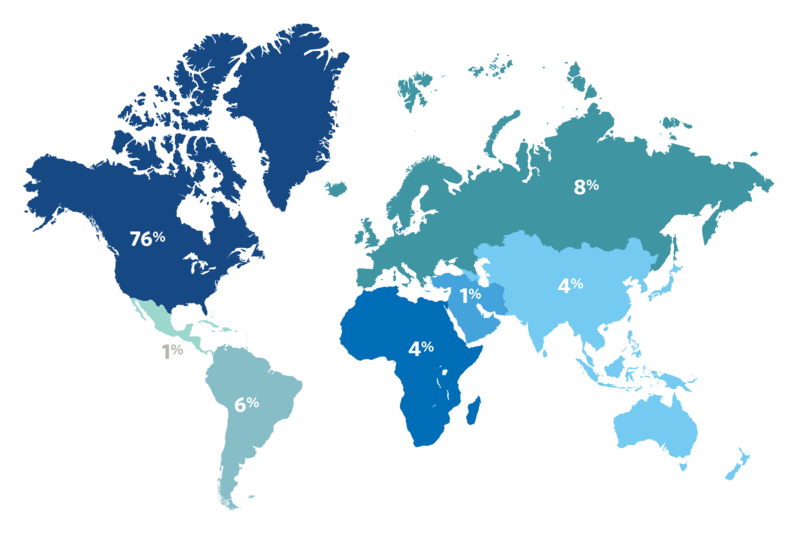 As the leader of Pfizer Consumer Healthcare’s Global Health organization, I am responsible for its global marketing strategy, innovation pipeline and R&D. The role also includes P&L responsibility for the innovation initiatives under development in the portfolio. My background, however, is in science, not business. I have a PhD in pharmaceutical science. 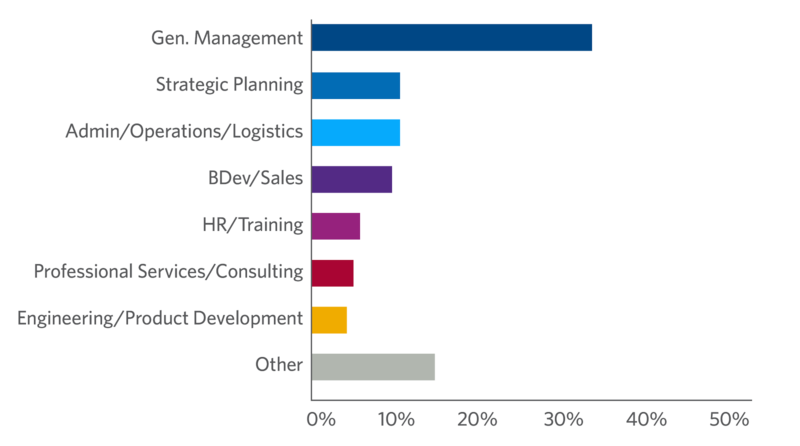 While I have had a number of business-facing roles, my professional leadership experience has largely been within the R&D space. Our organization is both consumer-centric and science-based. However, financial analysis and metrics play a critical role in many decisions — including whether we pursue both internal and external business opportunities. - What’s a good investment? - Are we creating value with our investments? - What levers can we pull to improve the overall proposition and financial metrics? In my work in the corporate strategy department at Monsanto, I do quite a lot with mergers and acquisitions and divestitures but also longer term strategy decisions that require thinking about the future. Wharton’s Finance for Executives program was the only course I found that covers a combination of these topics. I can honestly say that I have applied almost everything I learned at Wharton to my current projects at work. This has varied from a valuation viewpoint to comparing different deals to each other, comparing resources to validate which project to move forward on and applying the fundamentals of corporate decision making. I have even been able to apply measurements and analysis like NPV, IRR, and cost of capital measures to countries outside of the U.S. It is always hard to consider an M&A deal without having detailed information — this course helped me better understand and use assumptions in my analysis. Wharton emphasized the fact that there are only four or five key factors that make a significant difference in a deal and you have to get those as close to right as possible. This concept really resonated with me. Now if my colleagues and I ever get distracted from those factors, I can easily guide the discussion back to what matters. As a C-level executive without a finance or economics degree, this course filled in a few gaps for me, validated some of my experience and overall increased my confidence using these financial frameworks to make strategic decisions. Whether you are trying to gain support for a strategy, sell a new project or evaluate a proposal that’s been presented to you, these frameworks can help you more effectively understand opportunities and risks.